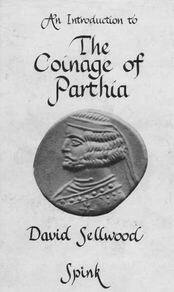 The Parthian coin identification is based on David Sellwood work 'An Introduction to The Coinage of Parthia' issued by Spink in 1980. That book is rarely found today. Earlier works also exist and still in use. However these works disagree radically how they attribute a coin to a ruler. This results in a lot of misunderstanding and misidentifying of coins. The aim of this identification application is to both help the experienced collectors to overcome the miss of Sellwood's book, and to give a straightforward classification method for the beginners. We used a revolutionary method for the identifying process. Rather than thumbing a book until the collector finds the catalogue description of the coin in question, here the user must make successive decisions on possibilities the program offers. Answering each question - selection one of two or more options - the user narrows the possible set of catalogue items, and finally arrives to a type number and ruler attribution of the coin. Both type number and ruler identification is based on Sellwood's book mentioned above. At each coin a picture - if available - is shown. Obverse and reverse features are listed under the picture. Below them sub-types - if any - are listed with Sellwood catalogue number, and a short description that differentiate among sub-types. Below them some useful links are placed. By clicking on them the user may find more information on the particular coin. First a link to parthia.com was placed where more images and data can be found. Parthia.com collects the information of Parthian coinage for decades, so they may have images that currently we have not. Other links - mostly to publicly available coin images and virtual collection - are also put where we had the knowledge on their existence. Let us know if you know other source of information that worth to be linked from our pages. Currently the identification is for the most common Parthian coins, silver drachms only. Later on this can be extended if users think it useful and helpful. We use the terminology obverse for the side of coin where the face of the king is visible. The reverse is where the sitting archer is visible. The 32.2 Sellwood type is missing from the identification process (because of the lack of image, and rarity of coin). If you have a picture of the above mentioned types and want to contribute in the extension of this catalogue, please send the image to us. Dr. Florian Haymann - Dr. Busso Peus Nachf. Follow us on facebook. Share you idea, comments with fellow users, or send your supporting images, data.